1958-1963: The ownership group which bought the Seattle Americans in the spring of 1958 sought a new identity for the club. "Seattle Jets" had been seriously considered as the new moniker until a sportswriter for the Seattle Times, Hy Zimmerman, suggested a name more indicative to the Pacific Northwest region - Totems. 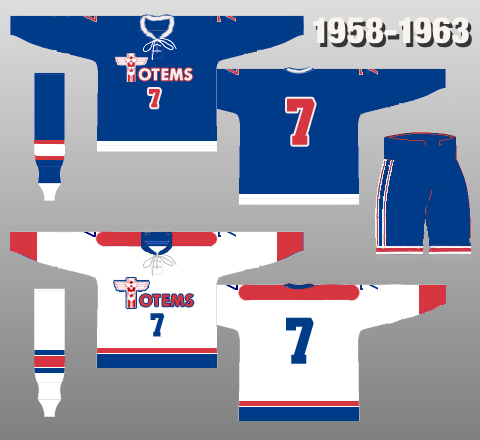 The suggestion was warmly received by ownership, and while maintaining the blue, red and white from the Americans, the Seattle Totems were born. 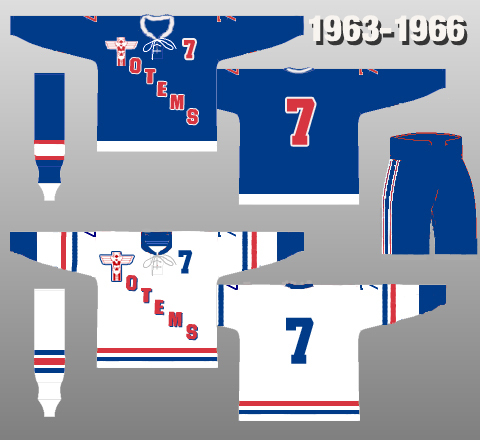 1963-1966: The Totems altered their look with diagonal lettering across the front and player number on the upper left hand corner. 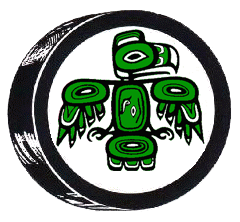 1966-1975: The club went for a complete change adopting kelly green and white as team colors and a Coast Salish design for a logo. In addition, the striping of the uniform is identical to that of the Detroit Red Wings. 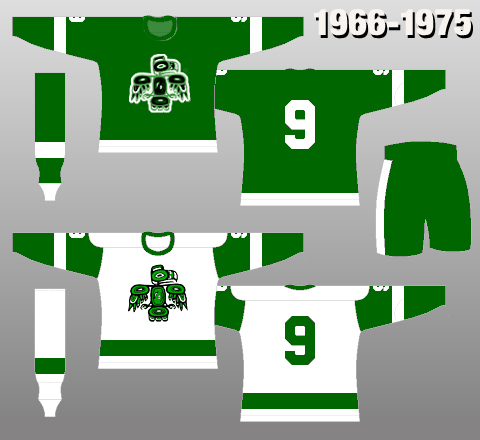 Many thanks to Andrew M. Greenstein and The Hockey Uniform Database, from which the uniform templates were acquired. The Hockey Uniform Database is an excellent online resource for the history of uniforms in the National Hockey League.